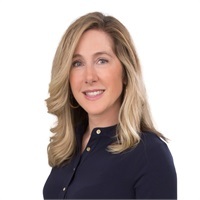 Gretchen Antonelli | Forward Financial Services, Inc.
Gretchen joined Forward Financial Services as the Director of Marketing and Operations in the spring of 2014. Since then our clients have benefited from Gretchen’s entrepreneurial skills and knowledge through her empathetic approach to relationship building and client servicing. She assists with all aspects of the business as well as plans and executes our seminars and events.Gretchen oversees communication with clients and prospects and is responsible for maintaining compliance for the company. Gretchen has a Master’s in Education from Springfield College and a Bachelor’s degree from Saint Anselm College. Gretchen has a diverse background of employment and leadership positions. She has an extensive work history not only as an administrator but also in sales, conferencing, teaching and training and development. Volunteering is near and dear to her heart.She is actively involved with many community groups and endeavors in the City of Worcester. She is a proud former Girl Scout Leader and currently is a member of the Rotary Club of Worcester and an active member of the Wachusett Area Chamber of Commerce. Gretchen is originally from the Boston area but has been a proud Worcester resident for 19 years. She lives in Worcester with her husband Rob and their two children, Abigail and Aidan. Be aware that when it snows, it is likely Gretchen will not be in the office and often found slopeside working on her skiing and snowboarding skills.